This was my winning entry for the 2012 Typography Day word poster competition, held at the Indian Institute of Technology (IIT Bombay). The poster was chosen as finalist from over 600 entries. Direct link http://www.typoday.in/poster_result.html — As technology keeps evolving there exists a need to appreciate the wonders of a hand-made design approach. The availability of computer software has created generations who perceive design as mere computer skills and looks. This is my response to the potential of a more involved approach. Where the intended message directs the medium and the look of the design. The word served as guidance during the conceptual phase. Helping communicate a word meaning ”signal wave stored as physical texture” by choosing a manual direction. 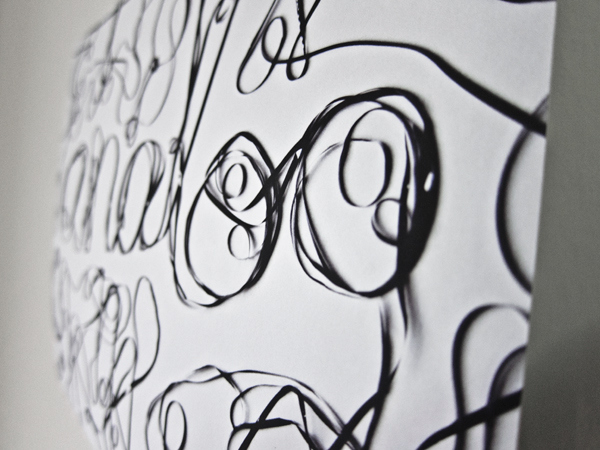 The word is constructed using audio cassette tape. 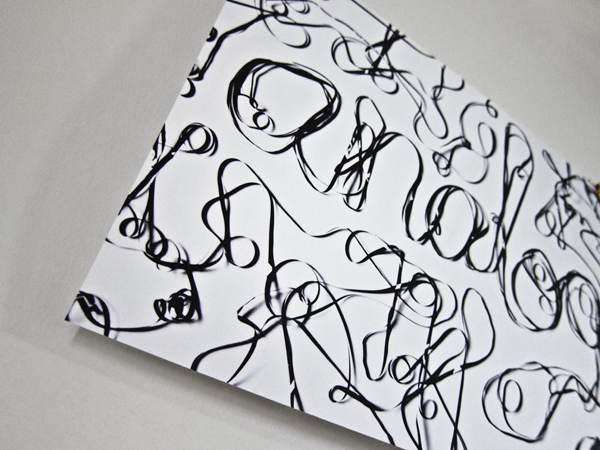 By utilizing a tangible material, the word acquired a randomness that enhanced the message. There are a range of design possibilities, where a non-digital approach can best serve the communication process. Instead of forcing digital effects into our work, a physical approach can make our intent more clear, uncluttered and universal. This was my winning entry for the 2012 Typography Day word poster competition, held at the Indian Institute of Technology (IIT Bombay). 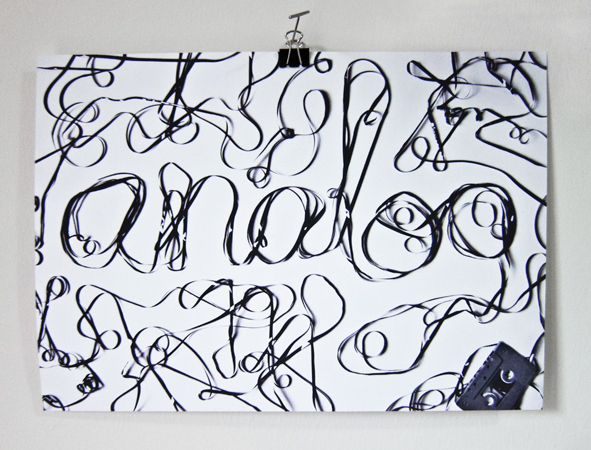 The poster was chosen as finalist from over 600 entries. As technology keeps evolving there exists a need to appreciate the wonders of a hand-made design approach. the medium and the look of the design. The word served as guidance during the conceptual phase. Helping communicate a word meaning ”signal wave stored as physical texture” by choosing a manual direction. 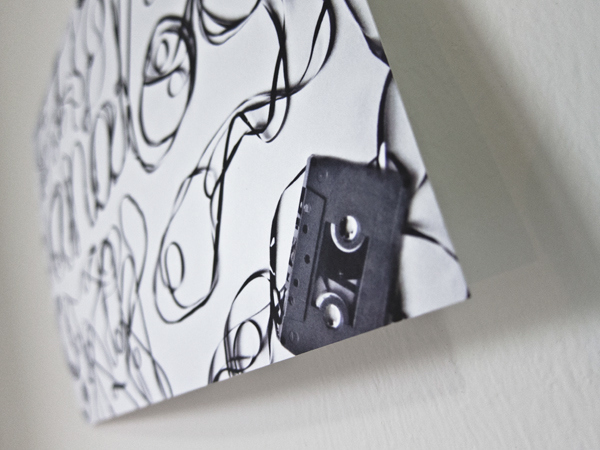 The word is constructed using audio cassette tape. 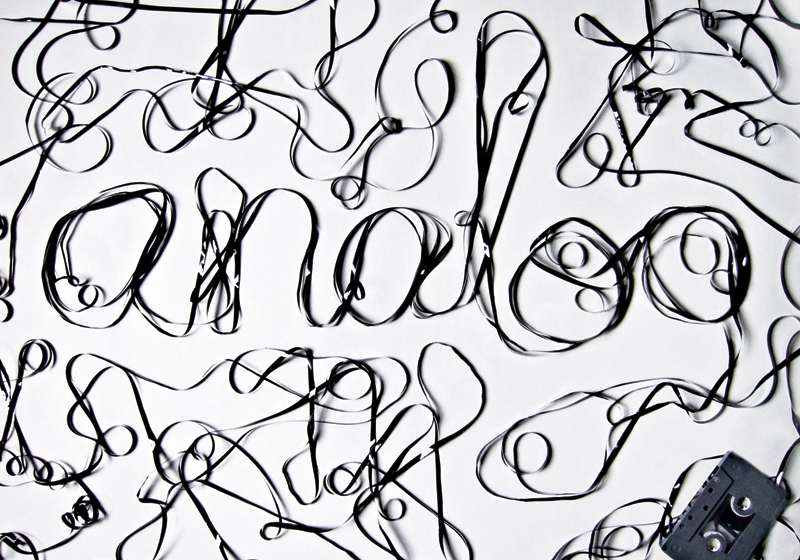 By utilizing a tangible material, the word acquired a randomness that enhanced the message. There are a range of design possibilities, where a non-digital approach can best serve the communication process. Instead of forcing digital effects into our work, a physical approach can make our intent more clear, uncluttered and universal.